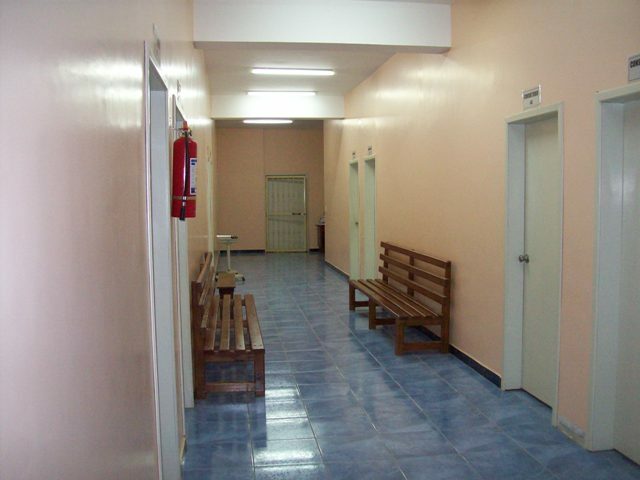 Now we’ll tour the inside of the clinic building. 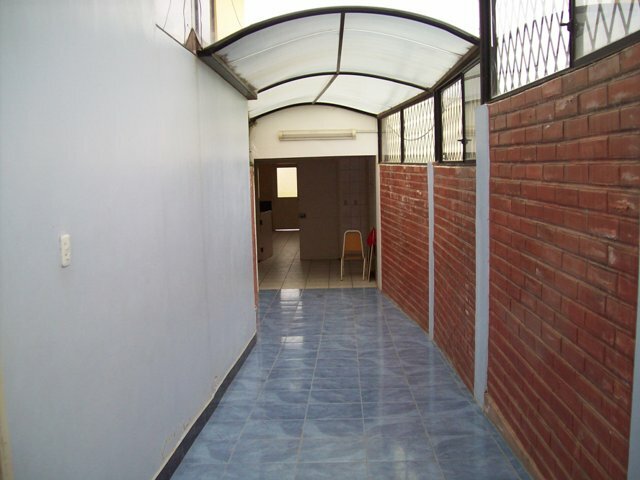 Our entry goes into the old clinic building and then we move on to the new. 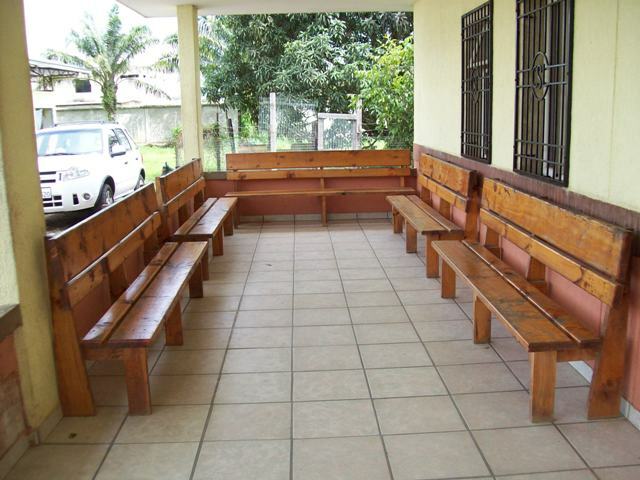 Front porch of the clinic building serving as a waiting room for patients. 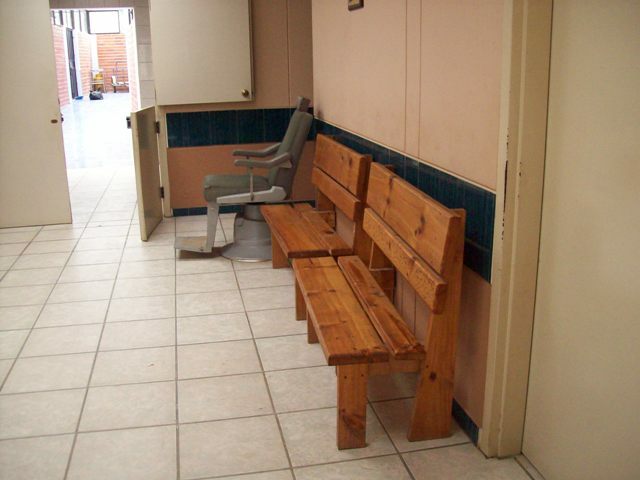 The other side of the waiting room. Patient registration area just inside the clinic building. 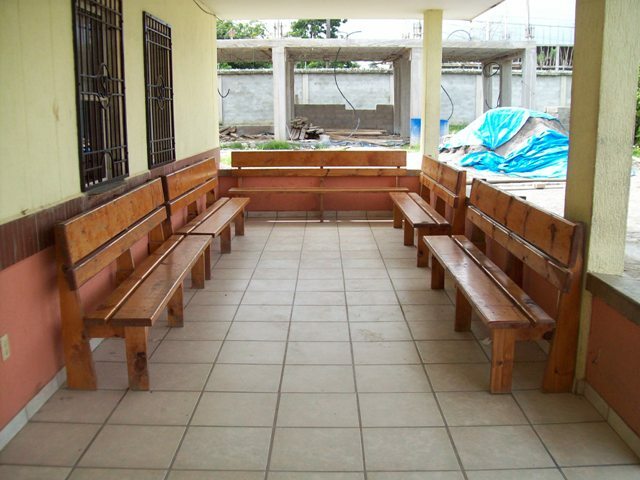 Waiting area in patient registration. 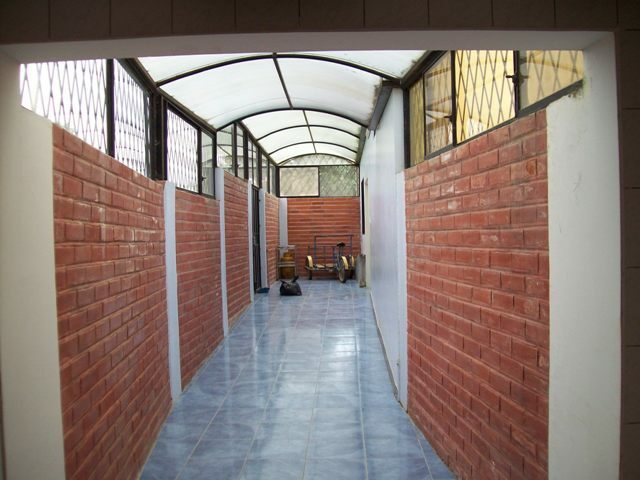 This hallway connects the old buiding with the new one. Looking from the new building to the old building. 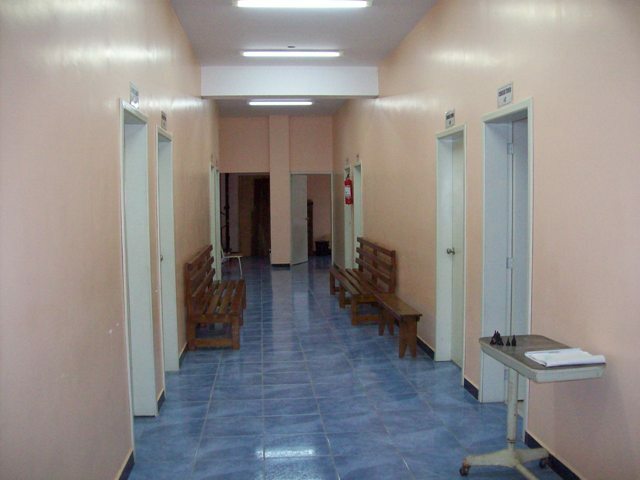 Post-op patients are taken from the recovery room down this hall through the old building and then outside to the albergue. Inside the new building the first room is the kitchen/lounge area. 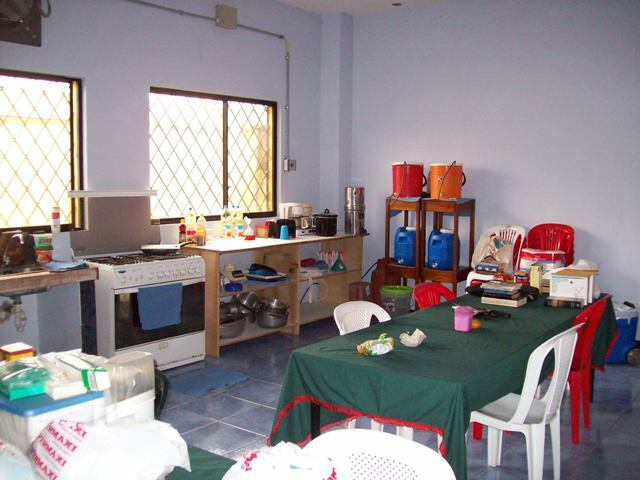 We have all our meals here and also gather here for meetings, devotions and board games in the evenings. The large freezer is a recent addition and very useful. 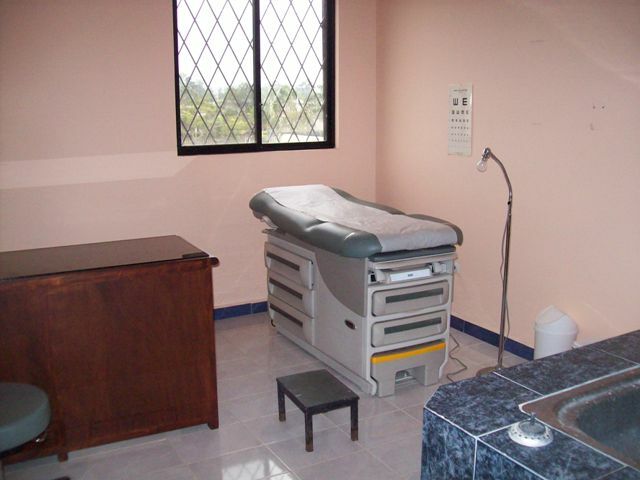 Moving upstairs we will see consultation rooms. 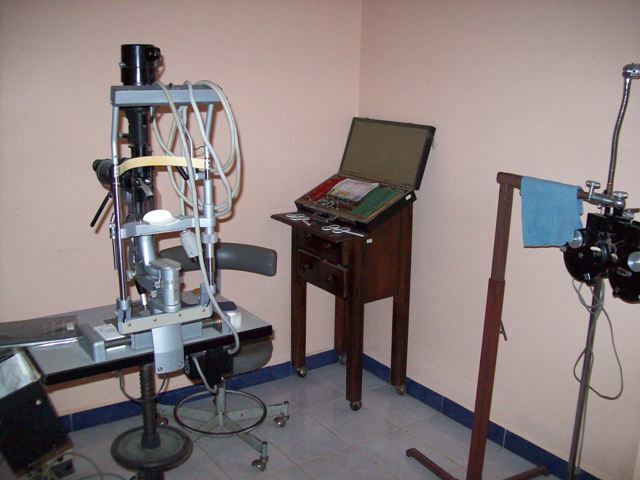 The patients are seen here for their doctor visits and eye exams. The hallway looks down to the door to Jane’s apartment. Looking down the hall the other direction shows the top of the stairwell and the open door is into the room where I am staying. We are getting ready to start our day of seeing patients for surgery. 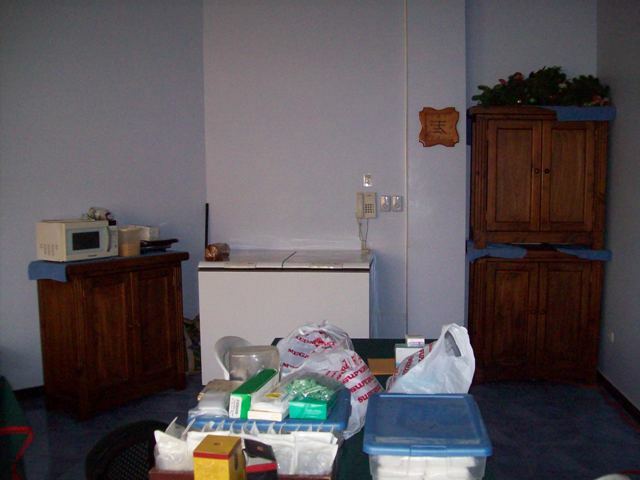 Sink and counter in Jane’s consultation room. 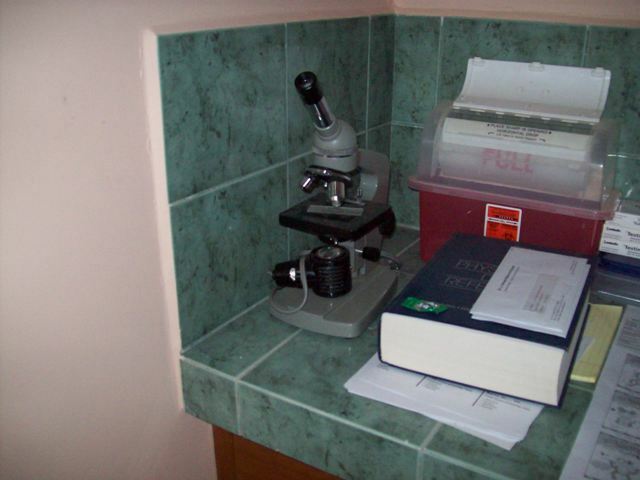 My microscope from medical school sits on the counter here and is now Jane’s. 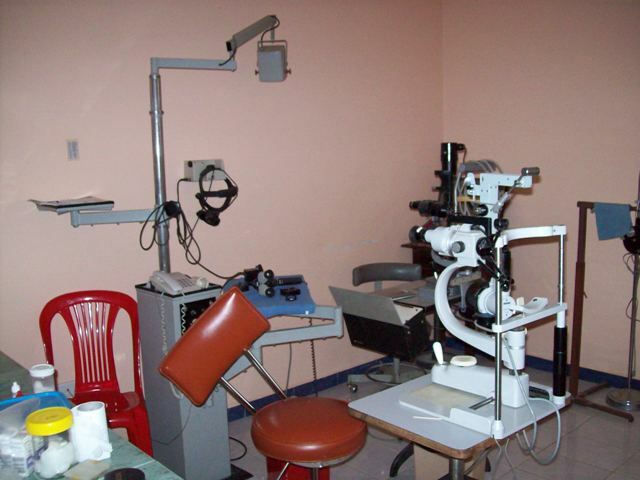 Across the hall from Jane’s office is the eye exam room. 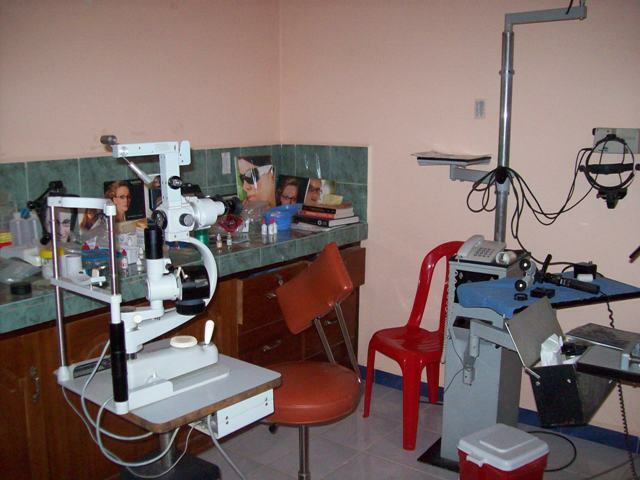 Maria Luisa sees patients for eye problems and glasses. 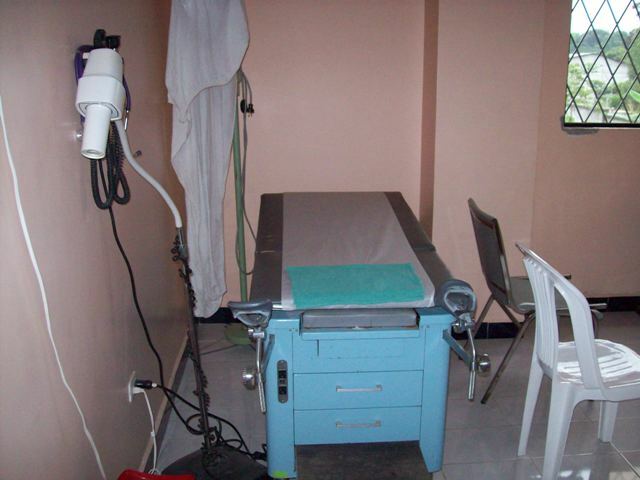 Another consultation room. 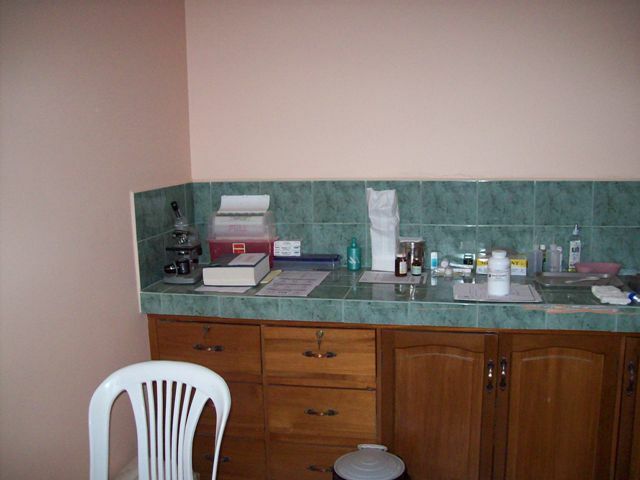 This room is used by family practitioners who will see patients for general medical problems. 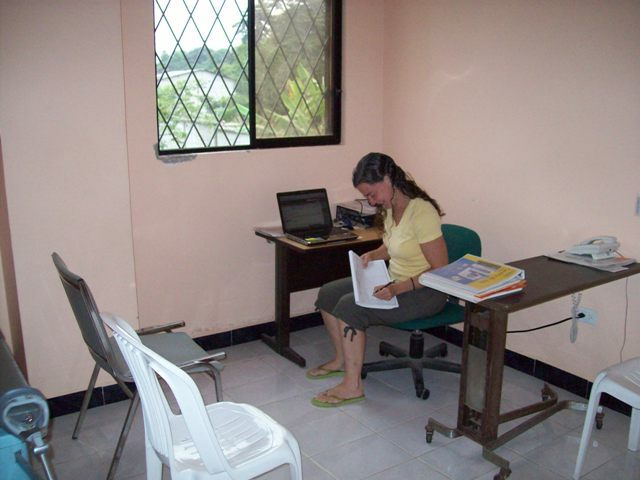 Another equipped consultation room. 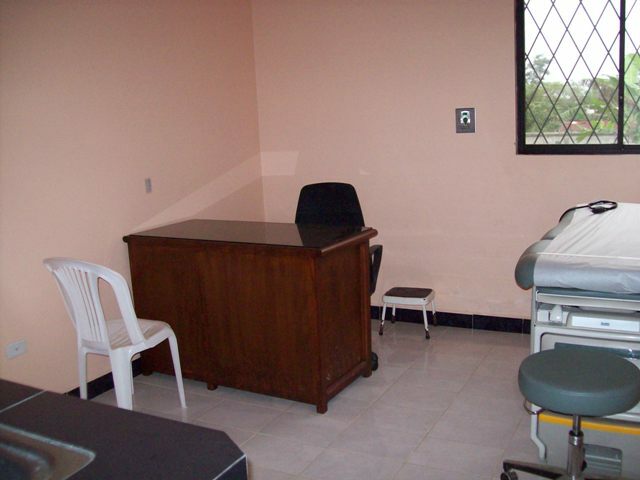 Now all that’s needed are doctors to fill these offices. 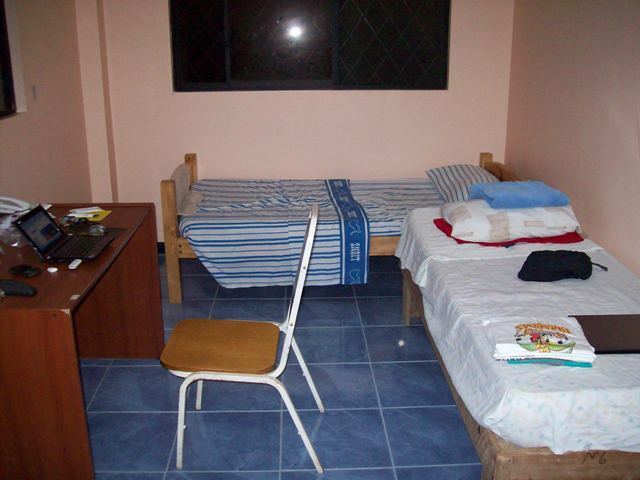 This room is where I am staying. 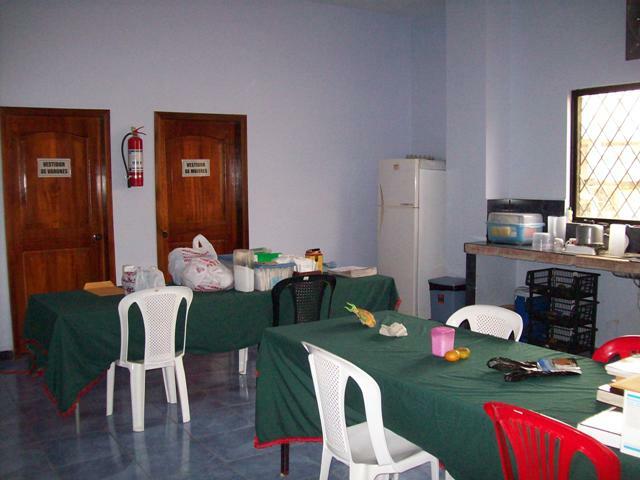 It serves as an office for Damarys, the adminstrator of the clinic, and also a sleeping area for guests who come to help. Thanks for the pictures, Marv. 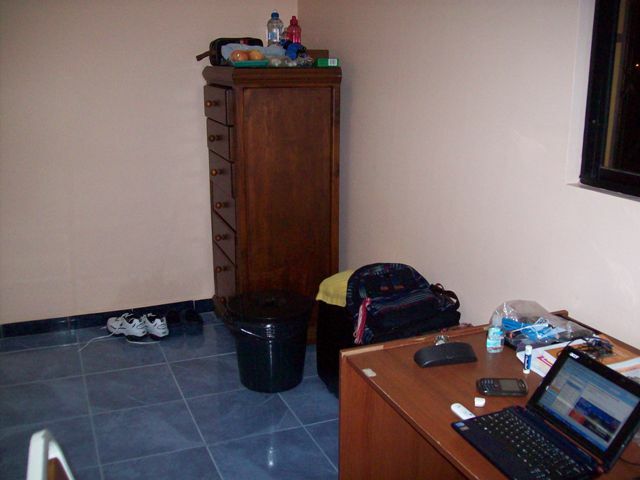 It really helps me visualize the work efforts there.